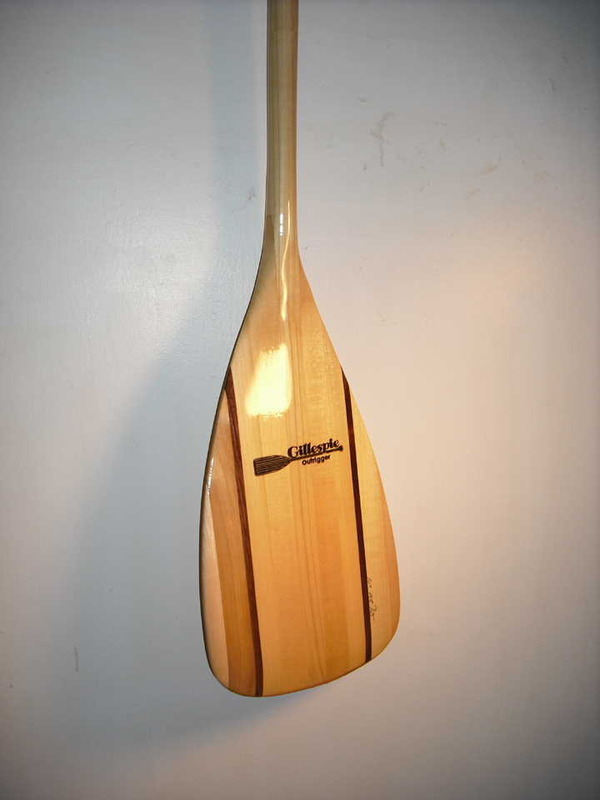 The Standard 10 degree paddle from Gillespie is a great paddle at a great price. This medium weight paddle is very strong and durable. On my trips to the Boundary Waters Canoe Area I pushed off of rocks and dead heads making sure to keep my canoe afloat. I wasn’t once worried about the durability of this paddle. It felt light and strong in my hands and giving me a strong stroke creating an easy time paddling through the beautiful lakes of the BWCA. This paddle can be ordered with a T grip or a Palm grip. The Palm grip is an extra $7, but is well worth the extra money. The paddle also comes in a standard 10 degrees, but if wanted can be ordered in a 7 or 5 degree paddle. The partially cup tip is made out of Maple and helps to create a smooth entry into the water. The Standard paddle also has a slightly oval shaft, which is approximately 9 inches in width and is roughly 22 ounces. Overall, I really like the ruggedness of this paddle. It is a strong entry-level paddle, which is stylish, durable and has a great feel. My one and only complaint about this paddle is that the product logo is placed on the paddle with a sticker. Come on Gillespie!